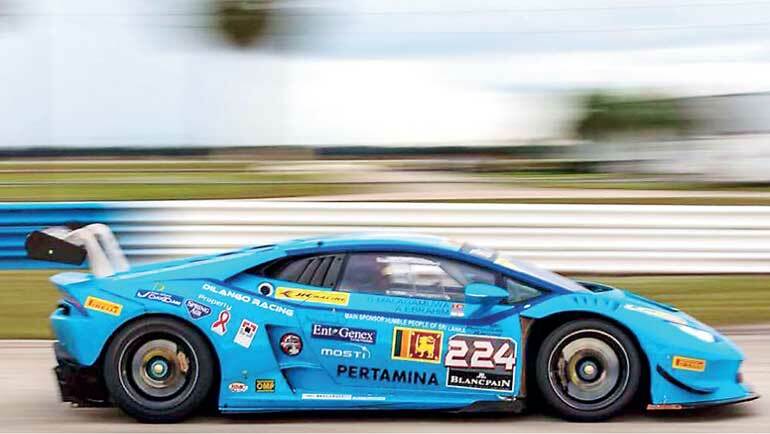 Sri Lanka’s daredevil race car driver Dilantha Malagamuwa can race his heart out from now on, strongly supported by Blue Mountain Achilleion, whose logo will be emblazoned on the champion racer’s Lamborghini in the local and international racing circuit. 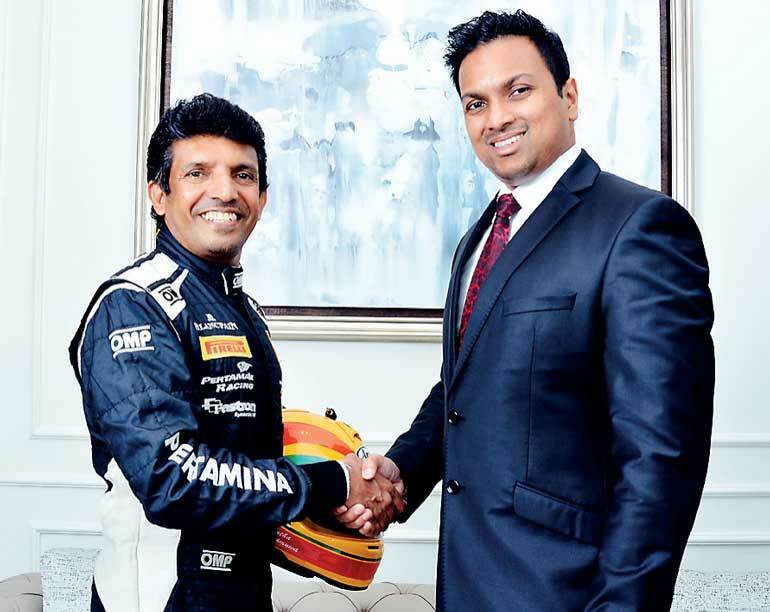 Sri Lanka’s first seven-star luxury apartment project Blue Mountain Achilleion is forging strong ties by powering the nation’s powerful sports personalities such as Angelo Mathews and now Dilantha Malagamuwa, who recently claimed the Asian Championship and was selected for the fourth edition of the Lamborghini World Final at Valencia Circuit in Spain, a rare honour for a Sri Lankan racer. The champion racer kick-started his career by racing motorcycles at the age of 16, inspired by ‘Silver Dream Racer’, a film on racing. Now bitten by the racing bug, he participated in his first international race in 1983 at the Indian Grand Prix where he met Matsumoto Kenmei, who encouraged him to go to Japan to race. The daredevil left for Japan soon after with a one-way ticket and few hundred dollars in his pocket. After a brief struggle, he started racing bikes in Japan and later got behind the wheels of a racing car, eventually winning the N1 Japanese Championship in a BMW M3 in 1995. He then drove F3 and became the first non-Japanese Asian to participate in Formula Nippon (F3000), going on to Japan GT300, GT500, Daytona 24 Hours, Bathurst 24 Hours, Tokachi 24 Hours, Carrera Cup Asia, Aston Martin Asia Cup, Dubai 24 Hours, Malaysian GT Championship, GT Asia and many more races. He has won five championships, five championship first runner-up and almost 100 international podiums and over 200 wins including races in Sri Lanka.